Canada is only about a quarter of the way to hitting its greenhouse gas reduction goal, Environment Minister Leona Aglukkaq's office admitted in a news release Monday. Until recently, the government has stuck to a claim that Canada is halfway to cutting its emissions by 17 per cent from 2005 levels by 2020. In a news release Monday, Aglukkaq's office said emissions have been reduced 4.8 per cent from 2005 levels. That figure works out to about a quarter – 28 per cent – of Canada's target, with six years left to go. "Since 2005, Canadian greenhouse gas emissions have decreased by 4.8 per cent," said one sentence in the statement explaining how Canada had succeeded in decoupling economic growth from greenhouse gas growth. 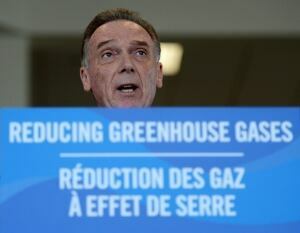 Former Environment Minister Peter Kent was fond of pointing out that Canada was halfway there in terms of meeting the targets it set for itself at the Copenhagen climate change conference in 2009. "Last year, we were one-quarter of the way to our goal. And now we’re halfway there," Kent said in an August 2012 speech in Ottawa. In February of this year, he said something similar to an audience in Mississauga, Ont., when announcing the government's heavy duty vehicle regulations. "It is estimated that we are already halfway there in our national effort to meet Canada's Copenhagen target," he pointed out. Kent was dropped from cabinet this summer. Aglukkaq, his replacement, has shied away from the "halfway there" remark and instead prefers to focus on the failure of the last government to make any greenhouse gas reductions. 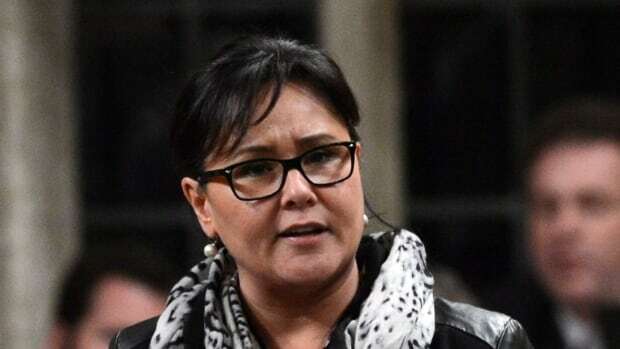 "Since we formed government, we have seen a reduction of greenhouse gas emissions by 130 megatonnes from what they would have been under the Liberals," Aglukkaq told CBC News. It is not clear how the minister came to that number. The Liberal government of Jean Chrétien signed the Kyoto Protocol in 1997 and formally ratified it in 2002. The Liberals committed Canada to reducing greenhouse gases by six per cent from 1990 levels by 2012. In 2006, when the Liberals lost power to the Conservatives, greenhouse gas emissions were 23 per cent higher than than they were in 1990.